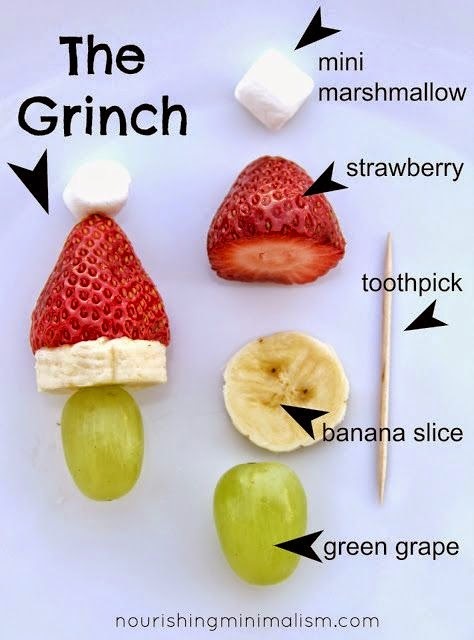 Are you hosting a family get together over the holidays? Here are some fun and easy ideas to make your guests smile! First up: "The Grinch". Easy enough! 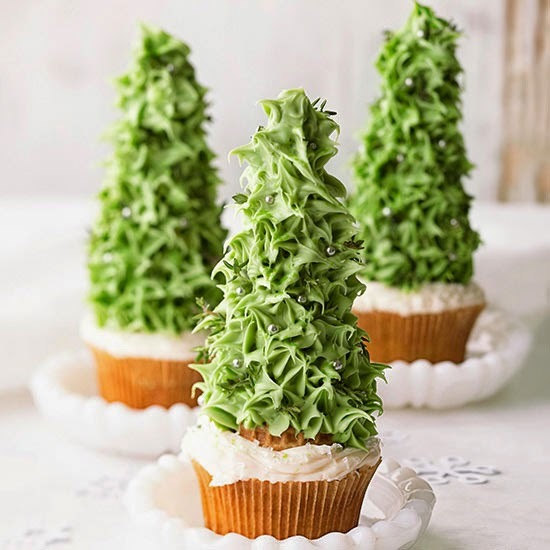 Next from BH&G - an inverted ice cream cone provides the perfect foundation for these pretty tree cupcakes. 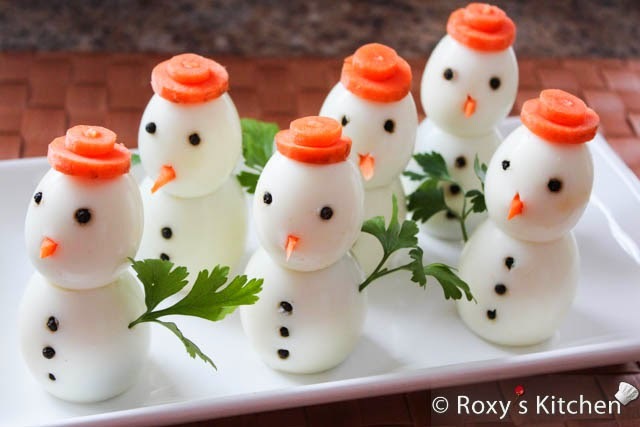 And for egg lovers - these snowmen are pretty fantastic.